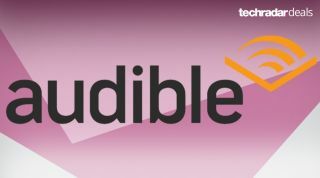 If you've been meaning to discover the world of audiobooks then you'll want to check out this brand new offer for Audible on Amazon in its new Spring Sale. That's because the free 30-day Audible free trial has just become twice as tempting. Until April 29 you can get an extra audiobook included in your free trial so you can enjoy two titles for the price of one - with the price being FREE of course! Hold on there before you head off to sign up, because this deal gets even better if you're an Amazon Prime member, as the free trial is extended to 90 days instead. Prime members can use the same link below too, just sign into your Amazon account once you click through and refresh the page and you'll see it change to the 90-day free trial. Audiobooks can be enjoyed on a wide range of devices. Smart phones, Echo speakers, Fire TV devices and even modern-day Kindle ereaders. So there's no need to fork out for any extra tech to start enjoying them straight away - assuming you have a smart phone at least. And seeing as the audiobooks are downloads rather than 'streams' you can download at home then listen on the move without chewing through your data. After the free trial ends, the standard monthly price of £7.99 will come into effect, but you're free to cancel with no obligation to pay a single penny beforehand. If you decide to stick with the Audible service (rated number one in our roundup of the best audiobook sites by the way), then you'll get to enjoy a lush selection of member perks. The audiobook credit you're given each month can be used on any book regardless of the price, meaning you can use it on the newest and best titles. There are a bunch of free audio shows and exclusive member-only discounts too. And while one free book token a month might not sound like a lot, don't forget that you can swap any audiobook at anytime for free for any reason.